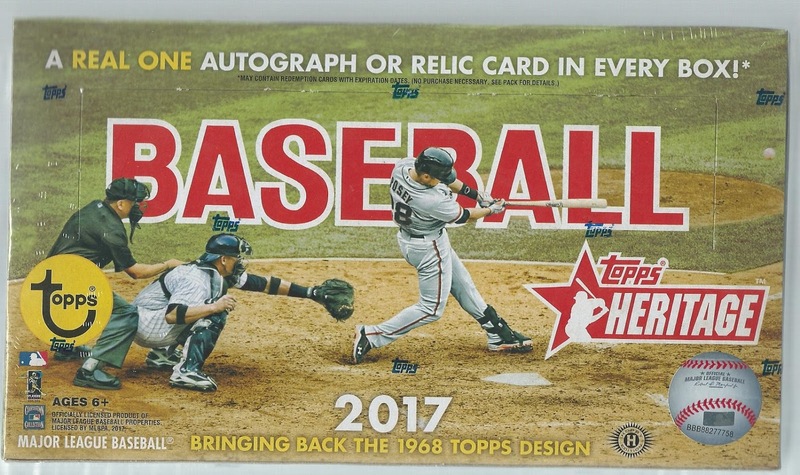 Last year I pre-ordered five boxes of 2017 Topps Heritage Baseball from Blowout Cards, using port sale proceeds on COMC to purchase a gift coupon. I was quite proud of myself for spending zero actual dollars on these boxes (I did spend $40 on supplies) and when the cards arrived on March 1st I felt like a kid on Christmas. 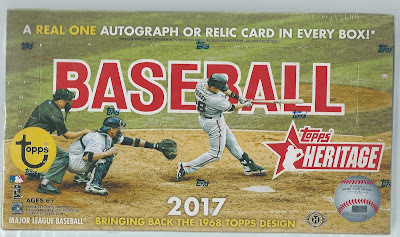 Five boxes and 120 packs yielded quite a lot of cool variations, inserts, buybacks ... and one huge hit. 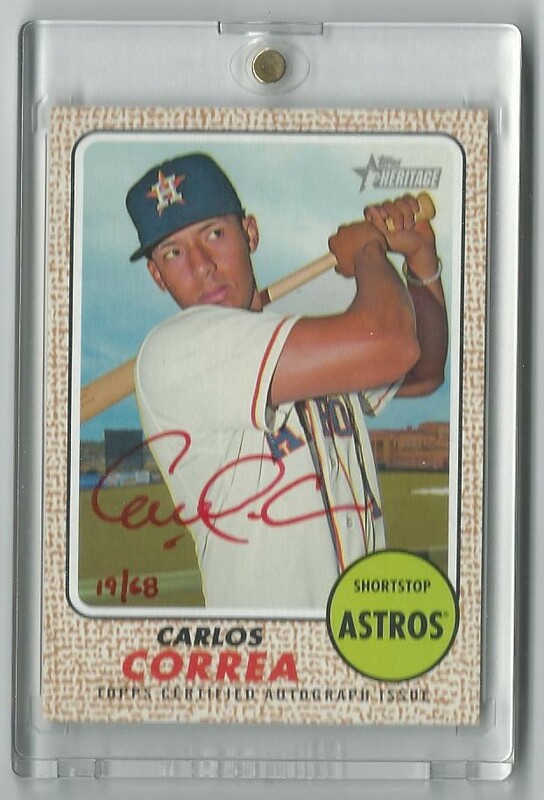 Unfortunately I still have a few cards left to complete my set, thanks to Topps short-printing the last one hundred freaking cards. I can also use a few more inserts and base cards, if anyone wants to throw some my way.